When You Need Bail for a Probation Violation, Please Call Indiana Bail Bonds Today. In cases where a person has been convicted of a misdemeanor or felony, there is a possibility that they can be placed on probation. When someone is on probation, they have to follow certain rules in order to be in good standing. Not following the specific terms of your probation can result in a probation violation. When this happens, the violation can be reported to your probation officer or the court; when it’s reported to the court, they can make a warrant for your arrest. Filing for a bail bond to get released can be difficult if you’ve violated your probation, but it isn’t impossible. 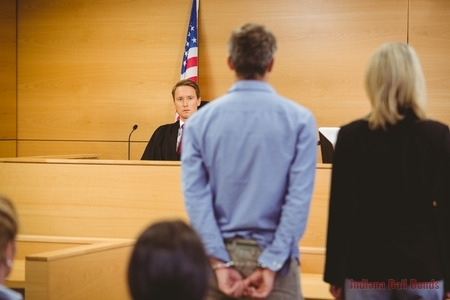 When you need bail for a probation violation in Avon and Indianapolis, IN and the help of a professional and licensed bail bondsman, call Indiana Bail Bonds at 317-423-9300 today! We will be able to help you through the process and get you released as soon as possible. Each circumstance will be different, but there are several rules all people on probation in Indiana must follow. Must report to probation officer frequently, usually every month. Individuals must pay fees depending on what county they are in. Individuals cannot use drugs or alcohol while on probation. They either have to be employed or in an educational program. Must follow all Indiana state laws at all times. Failure to abide by probation regulations will result in a call from your probation officer or an arrest. Depending on if the crime you are on probation for is a felony or a misdemeanor will determine whether you are eligible for bail. The judge presiding over your case will take into consideration why you violated your probation and if there is proof that probation was violated. If you are eligible and need bail for a probation violation in Avon and Indianapolis, IN, give us a call! At Indiana Bail Bonds, we are here to make your situation a lot easier with our expert bail bond services. Our compassionate staff is ready to provide professional services that are affordable and reliable. We are available 24/7 and are able to travel to where you are to take care of your bond. For more information about bail for a probation violation in Avon and Indianapolis, IN, call us at 317-423-9300 for more details. Updated on March 26, 2018 at 4:16 pm by Indiana Bail Bonds.